After losing two straight, the Spurs will hope a return to San Antonio will coincide with a return to form in the decisive Game 5. A series that had been under-billed as an old-school slugfest took its true form midway through the fourth quarter of Game 4: that of a full-blown Dragonball-Z battle — fireballs, drama, sad ending and all. Now with things moving back to San Antonio, a Game 5 that many thought would be the nail in the coffin might just be a must-win for the Good Guys. The Spurs won the first two in more or less convincing fashion, but adjustments would seem necessary after Games 3 and 4. We saw Pop tease a bit of this on Saturday (Jonathon Simmons and Davis Bertans playing big minutes down the stretch of the fourth quarter), but his reliance on David Lee in overtime appeared to reverse that trend. The world knows what Kawhi Leonard is capable of after his Super Saiyan performance in Game 4. Now it’s on the other guys — whether it’s a Vintage Manu game, some heavy lifting from LaMarcus Aldridge or a much-needed team effort defensively — to chip in. 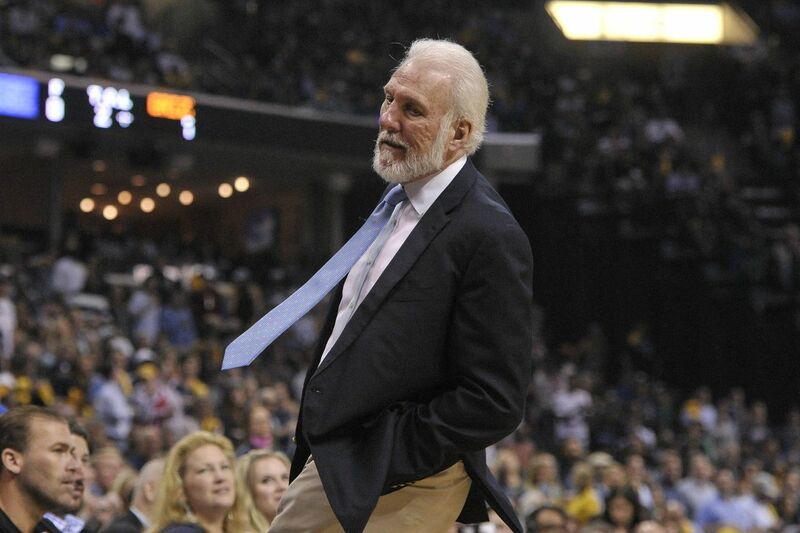 Has the Grizzlies offense drastically improved or has the Spurs defense just been terrible? In Games 1 and 2, the Spurs defense held Memphis to 92.6 points per 100 possessions; in their last two losses, it gave up 111.8. One big difference, aside from Zach Randolph moving into the starting lineup, is that the Grizzlies hit a lot of their three-point shots. They’re 21-of-47 (44.7%) from distance over their last two games. Part of that has to do with getting a good number of open looks (42 of those attempts were either “open” or “wide open”), an area in which San Antonio excelled in during the regular season, but the percentage still seems a tad unsustainable. Still credit to David Fizdale and his team, who have executed brilliantly thus far. When they’re not splitting the Spurs defense with Conley’s dribble-drive or Randolph in the post, they’re bending it with excellent passing around the perimeter. For a team whose advantage was depth going into this series, those numbers are worrying. The Spurs offense isn’t moving the ball well in general (just 11 assists in Game 4), but at least in Kawhi it has an engine to will it into the basket. Is it Dewayne Dedmon’s time? Illness kept Dedmon out of Saturday’s game, but he’ll be back in the lineup tonight. Dedmon is important for a number of reasons I laid out in my last preview, and his absence was definitely felt. David Lee, who started in his place, was a -15 when on the floor and seems to be a bad matchup against most Memphis bigs. Davis Bertans can make an impact with spot minutes at the four, but he’s not a traditional power forward at the best of times, and banging against Zach Randolph isn’t the best of times. Vegas line: Spurs by 9.